A smear of tears as I looked sideways at 160kph, suspended high above the valley, adrenalin surging after a heart-stopping drop. 32 seconds (or so) seems a lot longer somehow at such speed. Then my legs went over my head, my sunnies went askew, as the braking system kicked in. 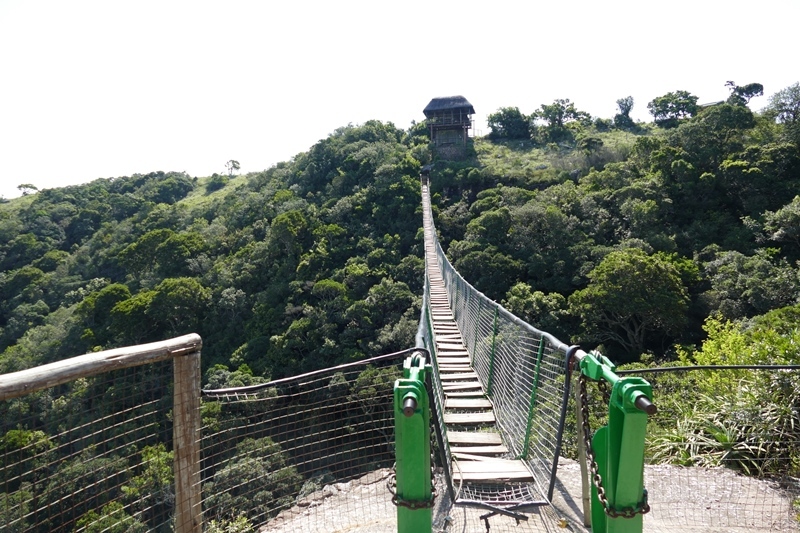 That’s the Zip Xtreme at Lake Eland Game Reserve– a peach of a spot at Oribi Gorge, 40 minutes from Port Shepstone on KwaZulu-Natal’s south coast. I’d been to Lake Eland years ago, just for a squiz- and, with a dreadful paint job on log walls, I was in no rush to return. All that has changed, including the management team-and so has my opinion. I love it- with a caveat. Frogs, or guttural toads, or something like. If you go in breeding season take earplugs. Our chalet over the lower dam was lovely but loud- surround sound loud- with two opposing choirs and a couple of stray descants in between. Frogs aside, Lake Eland is a place I’d like to return to in a different season. Winter seems a good time to get cosy, though my brother insisted on a fire anyway. 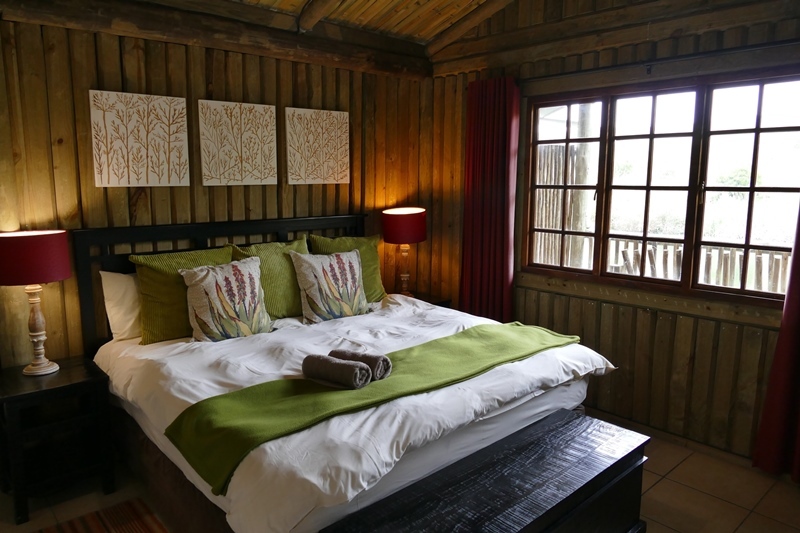 We were both struck by the thought that it is a great alternative to the Drakensberg mountains. 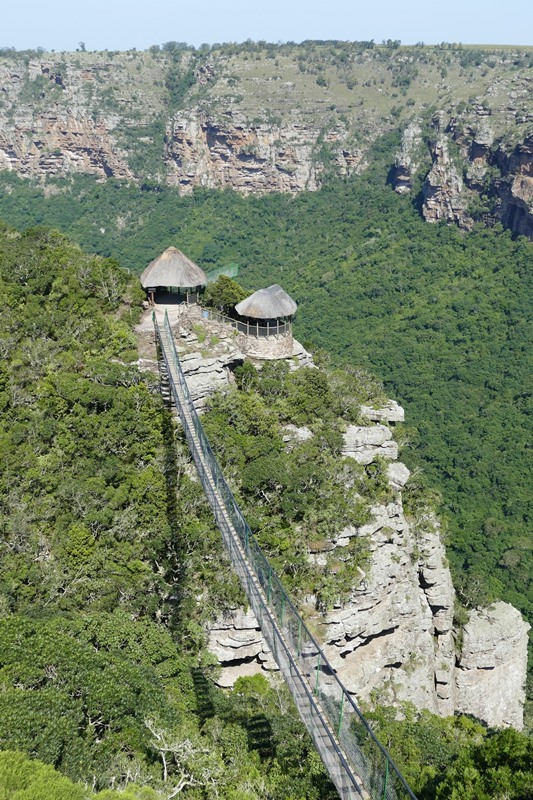 It’s close enough for many to make a day trip and enjoy the views along the way, the game reserve and the ziplines- with lunch perhaps in the restaurant. Lake Eland has the longest zipline in South Africa- all of 4.5km- and it is a blast, with a stretch right across the gorge and another so close to the lake that you can trail your feet in the water. It also has an 80 metre long suspension bridge which takes you to a sort of prow jutting out over a cliff- perfect for some Titanic poses. The setting is spectacular, the property worth exploring. 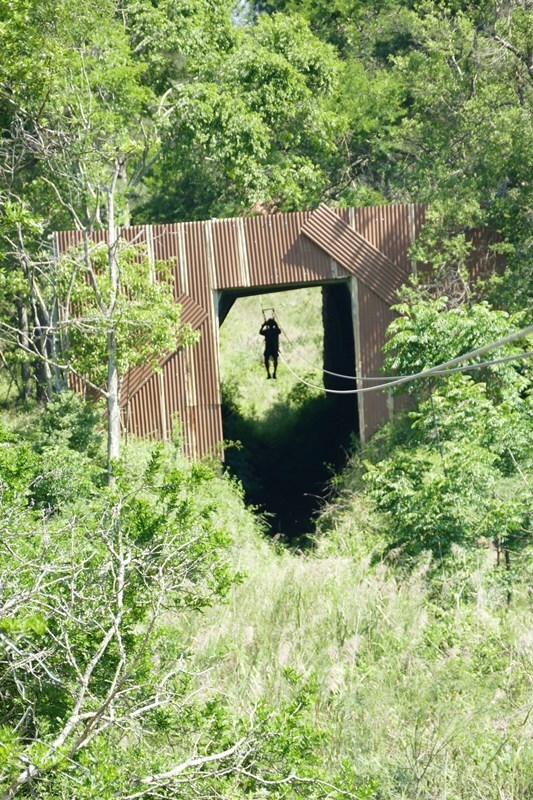 The top section is rolling hills, becoming steeper and tougher to drive through lower down, all the way to the lake, which has bunkhouses and rustic campsites – the favourite of co-owner Trevor Dunstone. Maybe he was just in a good mood as his nephew was getting married, with the wedding venue the only spot where music (non- frog variety) is permitted, but the down to earth farmer, in overall pants and frayed shirt as he got stuck in to some refurbishments, is hugely likeable. He explained that all the wood for the redone cabins comes from the farm, including the really nice split bamboo ceilings. 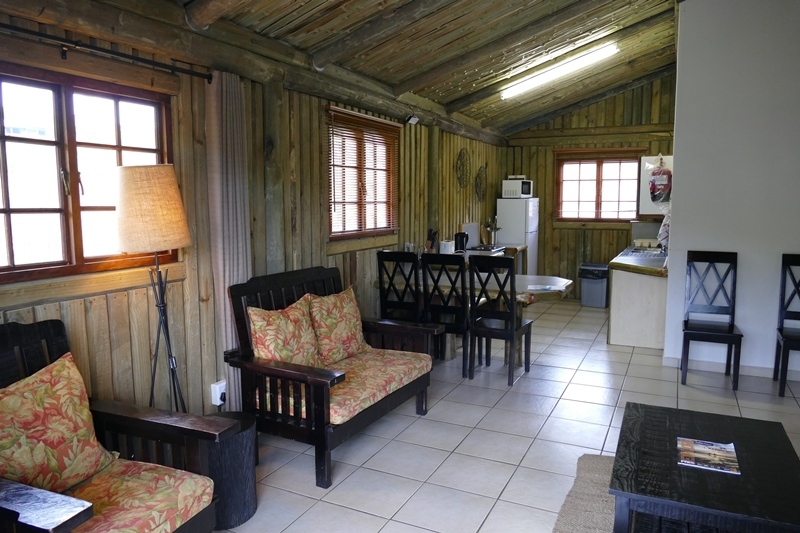 The self-catering chalets look fresh as a result, be they old or one of the new ones in which I stayed. Accommodation is really affordable and varied. If you’ve forgotten something the shop has plenty, including frozen meals prepared by the chef (with some vegetarian treats) if you’re too mellowed out to make your own. There’s also a country trading store about 150 metres from the entrance. Apart from camping/caravaning and the comfy chalets, you could opt for a “pipe dream”- a double bed built into an old concrete water pipe with a small patio and braai area. Or the eight sleeper park home or house, both near the swimming pool. 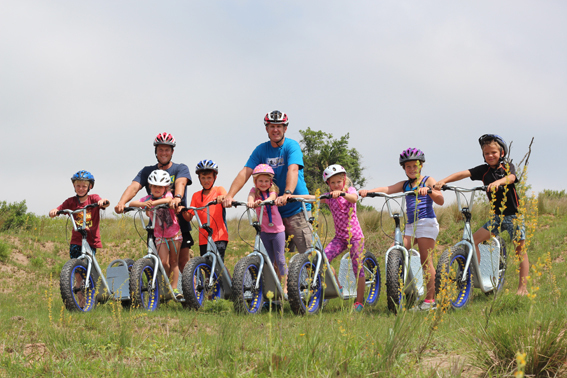 Kids of all ages can enjoy the mountain bike tracks, horse riding, paintball, guided game drives and fishing. Big kids can test their 4×4 prowess on the 4×4 track over the road, while little kids have a huge, fenced playground full of repurposed farm machinery, boats and other interesting “toys”. The fence is to keep kids in I guess, rather than game out, as all the game- with no large predators to fear- is remarkably chilled. I’ve never had an eland roadblock before, with the big male just standing, looking haughtily. 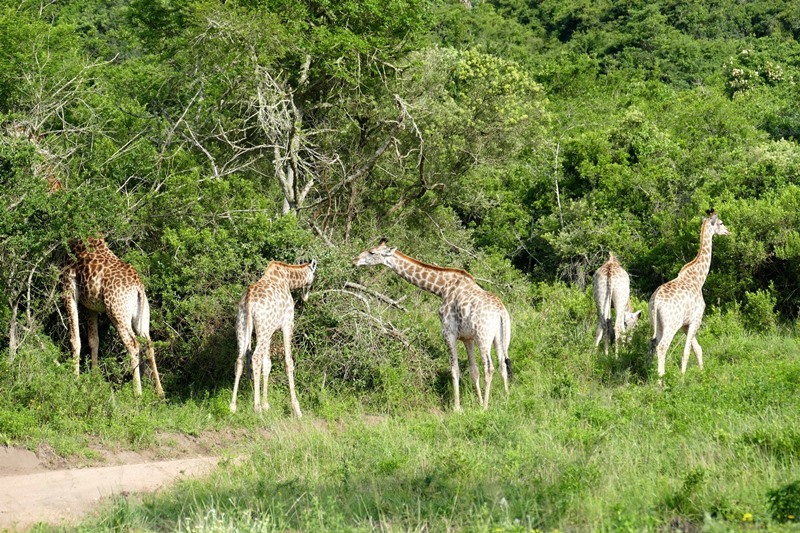 You will also encounter the usual suspects such as impala, zebra, kudu, nyala and giraffe- but also the rarer oribi, after which the area is named. 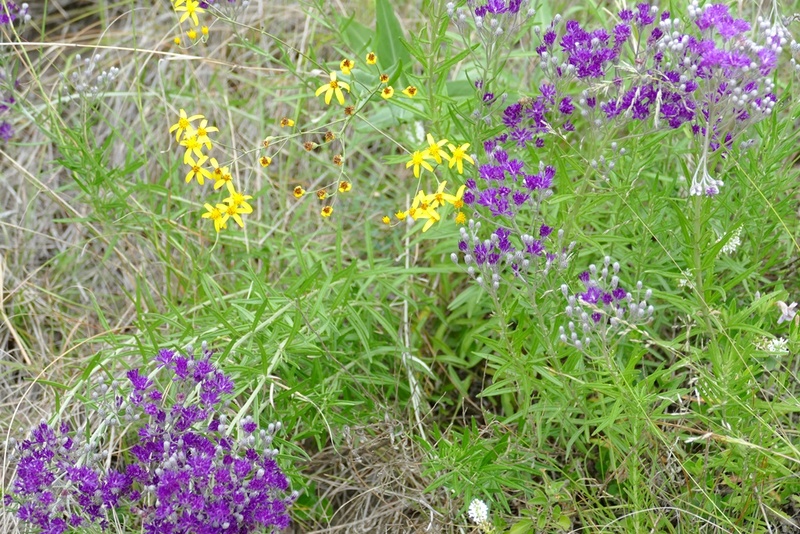 The 2500 hectares incorporates diverse ecosystems including bushveld, grassland, coastal forest and wetland. The large lake, shaped like the eland common in bushman paintings, gives the reserve its name. For day trippers, there are designated braai/picnic sites, while the chalets have their own braais (barbecues). 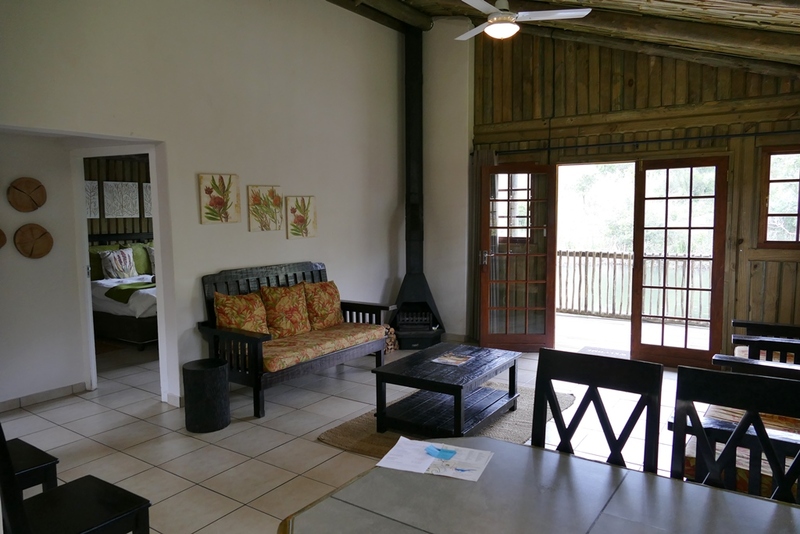 Unless you are fairly local, however, it seems a waste not to stay, since camping is from ZAR100 a person and two-sleeper chalets from ZAR700 a night. If the ziplines and scooter rides don’t deliver enough excitement, white water rafting is popular in Oribi Gorge, and the nearby Gorge Swing is, with a 165m drop, the highest in the world.